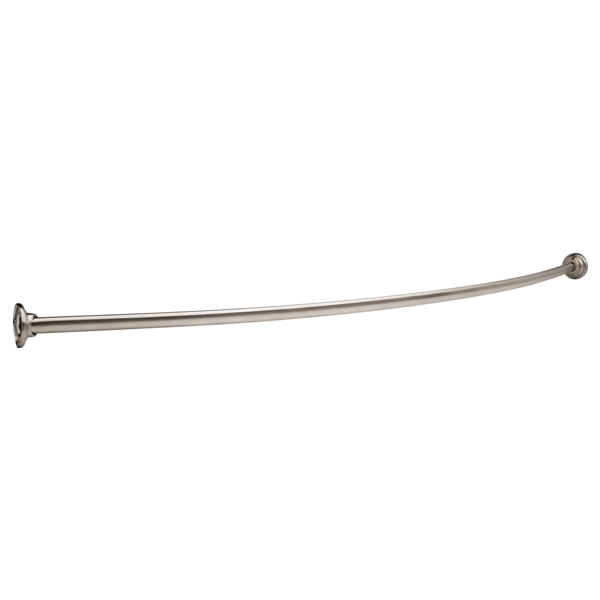 This shower rod is listed as 6' on your description, but you show in the Q&amp;A that it is adjustable from 58-62&quot;. Just wanting to verify before we order that this will work on a 58&quot; opening. Thanks! My wall-to-wall dimension is 56-3/4&quot;. Can I trim a small amount off the rod? What is the thickness (or gauge) of this rod. Nothing mentioned in the specs. Thank you for your question. Delta Faucet model # 42205-ST is a 22 gauge 304 stainless steel.